Trade mark registration – the registration of your business name or logo as a trade mark is one of the most important business assets. 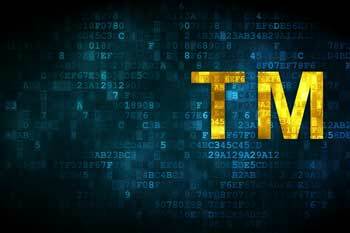 A trademark is initially registered for a period of ten years (from the original filing date) and continues indefinitely. A large number of trade mark applications are rejected or delayed by the Trade Marks Office, and you should use our firm of specialist trade mark attorneys to prepare and manage your application. The registration of your trademark is a lengthy and involved process. It occurs after your trademark has been examined, accepted for registration, advertised, and has passed through any opposition. If all goes well and your trade mark application passes government examination, registration will be completed within 10 months from the date of lodgement. Select a few distinctive names for your business. The name will identify your business on three important levels: Domain Name, Company Name, and Trademark (all three should be identical). When you have chosen a couple of suitable names, contact us for a FREE and confidential branding discussion. Let us help you – we are trade mark attorneys with over 40 years of experience in naming and branding. When applying for a trade mark you are required to declare which goods or services you want your trade mark to cover. Our discussions will identify the correct class. We will check out the availability of the proposed names by conducting a preliminary search. This will sort out names that are not available (already in use) or that are not suitable as trade marks (words not capable of distinguishing your business). Our friendly team will get back to you as soon as possible to discuss the results with you and help you make a final choice. We lodge a preliminary assessment application with the trademarks office to give us an early “in principle” decision. A result is expected within 7 business days with an opportunity to make some changes or discontinue. If there are any issues raised by IP Australia during the examination of your application and any substantial action is required, our team will quote a fee for your approval. If the decision was favourable, we will proceed and file the official trademark application. Don’t hold off on protecting your name because you believe it will be too expensive. Fill out the form on the right and well contact you with information on our fixed price packages.